When you have to try and beat your own creation...it gets interesting. The Tree of Fate wrestles with the Vice Scrutator in Exemplar Interdiction! It's kind of neat that the finals of an event is the one hundredth battle report for this blog. I'd spoken about my pairing philosophy with the other players at the event, and how Severius was my Cygnar drop. That was, at least, until I saw that my opponent was running Nemo 1 as his pairing with Haley 2, and I knew I had to take my chances with Vindictus into this particular Cygnar pairing. Nemo 1 completely neuters Severius' game, disrupting his entire army, charging from farther away, and doing massive damage in both melee and range. Fortunately for me, my opponent dropped Nemo 1, and I won the roll off, allowing me to go first. We were playing Outlast, and we were both aware of how bad a matchup this was for him. up, run everything up to outside of charge ranges. Very simple, but threatening his deployment zone. Same plan as normal, Vengers charge in first and then Knights clean up afterward. Things move up. A Firefly zaps a close Venger on the right, leaping three times and killing a KE, a choir dude, and doing nothing to the Reckoner. Dynamo doesn't do much on the right, DEF 14 really saving these guys. Feat turn! Also time to kill a couple of lights, if possible. Reckoner shot into the middle Firefly half kills it. Knight Seneschal charges into the Firefly and whiffs hard. Vengers charge in, the one on the left half killing the blue Firefly, the other few killing off the middle Firefly. Vengers on the right get into the Firefly there and kill it, repositioning back. Vindictus pops Feat and sits safely behind the Reckoner. My opponent gives out a lot of focus. Nemo extends his control and feats, only disrupting the right Reckoner. Nemo blasts the Seneschal, disabling but not knocking him down thanks to Gravus. Dynamo fails to kill either of the unengaged Vengers, but does trigger Battle Driven. The Centurion moves around, dismounts Gravus, and kills the Venger leader. The Seneschal heals a point. He moves the Stormclad up to contest on the right. I have an assassination angle here, and I decide to go for it. The Knight Exemplar Seneschal charges and slams the Lancer out of the way from the Vengers charge path. , and camps a bunch. Two charging, Battle Driven Vengers put Nemo down. Okay yeah...this list is pretty amazing into a LOT of matchups. The threat ranges are huge, the damage output is extremely high, and it is extremely hard to alpha. Bad matchups - Fiona, probably Haley 2, I expect Nemo 3 also poses some problems, but these are all holes that can be filled or at least patched over by I believe Sevy 2. I'll write up a bit more of a tactica in the next few days, but suffice to say that I think I will be playing this list quite a lot. My opponent had Ossrum and Fiona, and I felt like Sevy was probably the right drop here. He has a great play into Ossrum since he basically has no magical guns, and he has a ton of infantry clear for Fiona. But...I came to play Vindictus, so Vindictus I played. Spoiler alert, this was a terrible idea. I won the roll off and decided to go first. Prey went onto Vindictus, and away we went. I already felt pretty far on the back foot here. Fiona has a spell to give a unit a better version of the Errants Self-Sac, she can give something magical guns to get through my Feat, and she has a ball-busting feat. Add to that Star-Crossed and I was in for some serious trouble. I put Defenders Ward on the left unit of Vengers and put True Path up, hiding Vindictus behind the cloud from Fuel Cache. Everything ran, staying outside of Idrian charge ranges. Broad strokes, this was a complicated turn. Idrians put a big CRA into a Venger and leave it on one box. The Commodore cannon finishes it off. Everything runs up, and the Idrians get the self-sac spell. I was expecting a Feat here, but he has not and suddenly I'm on the back foot. Star-Crossed seriously messes with me here, as Vengers need sixes to hit the impact attacks on Idrians. Gravus goes in and gets the hit off on an Idrian, dispelling the upkeep self-sac. As a result, I only get one charge into Snapjaw and a couple of charges into the Freeboater. On the right, I get four charges into the Nomad, but I roll trip 1's on a charge and leave it on 7 boxes. I move up models to control flags in case he decides not to contest. I popped my Feat here. Through a complicated series of killing his own Idrian leader model to promote to a new leader, he is able to contest the right flag. All of my right hand Vengers die, and the left flag is narrowly contested by a Risen. Fiona moves out of killbox and pops her feat. I spend a ridiculous amount of effort killing the two contesting models, control both flags, and prepare to lose most of my models. Star-Crossed and Fiona's feat mean that I can't get anything done at all. He creates a Risen, which charges the left Reckoner and does 12 damage. Skareth sprays down four KE's on the right, including the CA. His Nomad easily kills the left hand Reckoner, and the Freeboater finishes off Gravus and a Venger. By this point, my opponent is down to about three minutes on his clock. I pop mini feat with the left unit of KE, charge in and...do almost nothing. The Nomad takes about 1/3 damage, the Freeboater even less. I can't clear the right flag either, and I begin to start playing for clock by spacing out contesting models everywhere. Several turns go by in quick succession here, and I didn't have time to take pictures. I send contesting models in every turn, running Vindictus away with Defenders Ward up, and eventually my opponent clocks himself with only a Reckoner and Vindictus left on my side. Wow. This was a horrible matchup, just absolutely atrocious. The list doesn't really have straight up MAT buffs, and Star-Crossed and dice manipulation just wrecked my ability to do anything. Also, Dahlia is a big, big problem for this list, as she straight up prevents my threat ranges from being absurd, and that's kind of the point. I always feel a little scummy playing for time, but this game literally came down to me forcing my opponent to make a bunch of attacks in order to have a chance at winning the game on Scenario. Also, I kept Vindictus really, paranoidly safe, and that was more or less the key. As those of you who regularly read my blog know, I've been on a bit of a Vindictus kick lately, so when I had a chance to go to Mox Boarding House in Bellevue to play in a Masters Event, I naturally jumped at the chance to play him a whole bunch. The main problem was what to pair him with. I felt like my Vindictus list could handle almost everything except Deneghra 1 in Ghost Fleet and Haley 2 in Storm Division. Main idea here is that the Sanctifier plus Severius' feat pretty much wreck Ghost Fleet, and this list has some decent game into Haley 2 just by nature of spell immune jacks with Oracular. The event had 13 players, which meant definitely three rounds, with a possible fourth. With that in mind, I was pretty sure I was just playing Vindictus every round and praying for no Fourth round. Into most of this, except the Cygnar players potentially, I was dropping Vindictus and not looking back. It's fast, it punches hard, it's hard to shoot at or alpha onto. Game 1 I got dropped into Ret. My opponent was running Issyria and Vyros, and we were on Entrenched. I already knew I was playing Vindictus, and my opponent dropped Issyria. He won the roll off and chose side. He gets his advanced move with the Halbardiers and off we go. Well...basically the plan is to run up just outside of walk and smack range, Feat, and alpha next turn. Vindictus goes first and casts Defender's Ward on the painted Vengers, True Path on himself and pops his Feat. Everything screams up the table, claiming all of the table space I could want. Both units of Vengers are completely inside the feat, and the Knights Exemplar are behind them as a counterpunch. I can charge into his Deployment zone from here. The Halbs get Inviolable Resolve put on them, and the Banshee gets Admonition. The Banshee whiffs a shot into the right unit of Vengers doing four damage to one, and Hyperion misses, but drifting blast damage manages to kill Venger outright and also destroy the other one. Halbs all Shield Wall up. The game plan is now to draw the line of engagement so far on his side of the table that Vindictus can take the zone and never get contested. True Path goes up, Vindictus moves into the zone. The right Vengers charge into Hyperion and do....like 10 damage. Impact attacks murder the Rifle Team. Admonition triggers, preventing the left unit from charging him as well. I send the left unit into the Banshee, getting three charges. My opponent takes a free strike, triggering Battle Driven, and at dice -3 the Banshee takes 9 damage from the three charges. A few Halbs die to charging Vengers. Knights Exemplar pop mini-feat and charge in, cleaving through a few guys. The Reckoners make a bunker for Vindictus. I set the right unit of Knights to be a counterpunch for whatever happens to the Vengers. My opponent loads up his jacks. Hyperion sweeps and kills all three Vengers. Banshee kills a couple of the other unit, and the Chimera charges in. My opponent doesn't boost anything, and all attacks miss thanks to Defenders Ward. Halbs move up and...kill nothing, even with mini-feat. I upkeep Defenders Ward again, and allocate a couple. True Path goes up, and the Reckoners move forward to shoot Hyperion a couple of times. The Seneschal charges the Chimera, triggering Admonition again, and the Banshee moves up to block charge lanes to the Hyperion. Knights charge and wreck the Banshee. Gravus moves in and destroys the objective, and I can't kill the couple of Halbs in the zone (dice continue to be unimpressive), so I only score two. In the left zone, Halbs flail at my models, still not taking enough out. Issyria Ancillary Attacks Hyperion after she Feats and casts Blinding Light on the Knights, and gets the Crit, RFPing four Knights Exemplar and the Seneschal. Unfortunately, he doesn't have enough fury to cast Crusader's Call, so the Hyperion can't charge my Reckoners, nor can it or anything else get in the zone (Crusader's Call wouldn't have fixed that). In an effort to get max points, he tramples over my Knights and buys an attack into the CA. I get a fourth point. Drop all upkeeps, allocate two to each Reckoner. I ask my opponent if he minds me killing stuff for army points, and he acquiesces. Two battled Reckoners kill Hyperion, and I'm finally able to clear the left zone for two more points. This game showcased many of the strengths of this list. Set the line of engagement in my opponents deployment zone, have wave after wave of alpha strikes, and leverage my crazy threat ranges to insure that I always come out ahead on trades. With the turn one feat, my opponent literally had 2 guns that could interact with my army, and that's going to be the case with most factions/lists - just no way to do anything to you to prevent you from charging them the next turn. Even with extremely poor dice rolls, I still was able to just pour enough attacks into the hard targets to 1) keep them far away and 2) kill them eventually. Back-to-back Scrutatorial games! Oh yes. Same list as last time, still working on the battlegroup and what to do with those Vassels. Current thought is drop a Seneschal and a Vassal and turn it into Gravus and a couple more Wracks. He dropped Rhyas into me, and off we went. I won the roll off again and slammed going first. Seriously guys, this is the most appropriate sound track for this army I can think of. Just let it run while you read. No serious shooting combined with no less than 3 pieces of Cover on my half of the table means no turn one Feat. Vindictus casts True Path, moves over to the right, casts Defenders Ward on the Vengers, and camps 1. Everything else just runs like crazy, staying just out of charge ranges. At the end of this turn, I'm already threatening his deployment zone. Some unlucky dice means that the only Knight that dies is the one I left out to trigger battle driven. This also triggers Righteous Fury on the Seneschals. The Angelius gets slipstreamed up, charges the closest Venger, but thanks to Defenders Ward misses its charge and the next two bought attacks. Beasts run, Swordsmen spread out. I upkeep Defenders Ward. Vindictus scoots out of the killbox and casts True Path before Feating. The right hand Seneschal goes man mode and two shots the Neraph. Oof. Vengers charge the Angelius, kill it, and Reposition out. I send in one Knight Exemplar to try and kill two Swordsmen with Cleave and Overtake, and he nails both sevens to hit. I didn't miss much this game. Vengers on the left charge in, and with Impact Attacks and charge attacks clear off several more Swordsmen and the Deathstalkers before (mostly) repositioning into the Feat. The middle unit of Knights runs up, and the Indictors screen Vindictus. His Protector frenzies, knocking down the Seneschal. We now come to the part of the game where we spend like...ten solid minutes trying to figure out how to actually remove that model from the table. Grievous wounds prevents it from healing, but it still doesn't kill it from my reading of the rules. If you hit it multiple multiple times, it just keeps getting knocked down and stays disabled, and the second you kill a faction model in its command it instantly heals one again. I couldn't find a quick rules reference at the time, so we played it like that. Yup. Wow, that's impressive. So for those interested, you can send all the attacks into the Knight Exemplar Seneschal you want, but it won't die unless you can remove it from play before the boxed step. At that point, if you kill anything within 9 inches of it, it heals a point and doesn't die at all. Also, he can contest and control zones and/or flags (2016 rules) while disabled, which is not how my opponent and I played that game. Okay anyway, Scythean cast it's animus, whacked the Seneschal, killed the Venger, and sat there. Swordsmen walked up and killed two (!!) Vengers on the left flank, and the Seraph moved up and shot at the three Vengers it could shoot at. 14/21 is a statline though, and despite some good dice, none of them die. We played it as though my Seneschal did not contest, although this is apparently wrong, so my opponent erroneously scored a point. It's time to clean up. Charging Vengers kill the Seraph and nearly kill the Protector. Vindictus casts True Path and sits back. Knights Exemplar charge in and cleave through most of the Swordsmen, and the Vengers finish clearing out the zone. At the end of the turn, my opponent has a Protector on one box, a Scythean and Rhyas, and he concedes. After this game, I'm starting to wonder if this list needs some very specific builds to answer it. Control feats ala Haley 2 and other denial effects like Cloud Walls might be the only thing that can really handle it. It's so fast, and it delivers itself incredibly well. I look at most Cygnar gunlines and just think "turn 1 feat, turn 2 charge you". Definitely going to be interesting going forward. Both of these games saw me take over massive portions of the table with fairly little loss. I believe this game I lost 3 large based models (90 push ups or sit ups), two small based models (ten push ups or sit ups) and that's it. The game before I lost two large based (60 sit ups or push ups) and 2-3 small based models (ten to fifteen push ups or sit ups) simply because the list was able to come in with an extremely hard alpha and fear little retaliation thanks to the feat. I'm excited to keep playing this list - now I just need something to pair it with. I really like Vindictus. 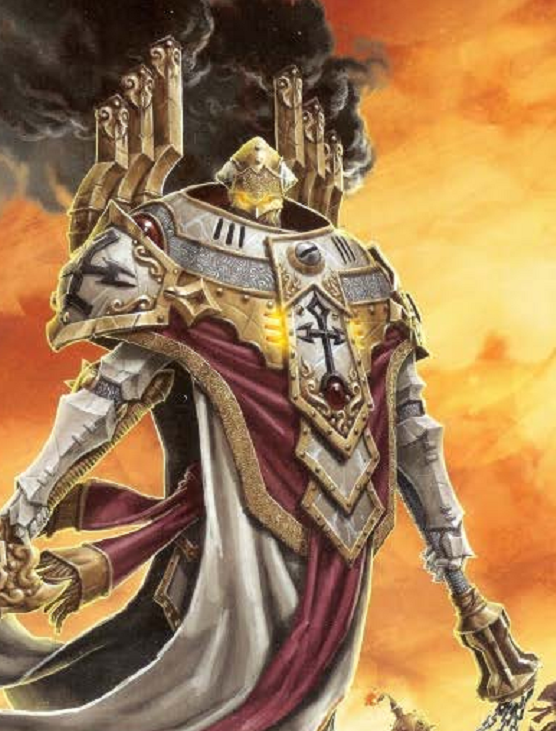 He, Severius, and Harbinger are 99% of the reason I got into Menoth, and the new Exemplar theme force, I feel, really gives him some neat tools. I cooked this little number up just before heading out for games tonight, and I have to say it's a nasty looking list. The list is fast, accurate (MAT 7 is as low as we go here), and hits like a train. It cares not for terrain, and with Vindictus' feat you are almost guaranteed the alpha strike. The only thing I am not quite sold on is the battlegroup and the Vassals. I'm really not sure what I want there yet. I paired this with Chandler's Severius 1 list, which I would like to claim more credit for collaborating with him on then I probably deserve, but it's a nasty list and he took it all the way to top sixteen at LVO this year. You can read his analysis and theory behind the list here. (also check out his blog, it's excellent for Protectorate stuff). It hits hard, it's resilient, and it's weird. It's super hard to play, and it has game into nearly everything. My first game of the day was against my regular Menoth opponent, who had a neat Malekus list featuring the new Vessel of Judgement. We rolled up Standoff from the 2017 SR packet, and I won the roll off. With a list this quick, it's just hamstringing yourself to go second, so I chose to go first. I can't help but hear the Rohirrim theme from The Lord of the Rings whenever I line two units of Vengers up to play a game. It's such a cool looking deployment. Vindictus goes first, casting Defenders Ward on a unit of Exemplar's to his left, True Path on himself, and advancing 8 inches. Indictors run up next to him, and then everything runs. It occurs to me that I actually have to worry about getting shot at turn 1, so I carefully check 17 inches from his Reckoners and 16 from the Vessel before committing my Cavalry models to their final location. The Cavalry units get into the circular zones, threatening to murder anything that comes near them. The Knights come up the middle and get ready to bruise things. 11 inch threat on them is pretty spectacular. I deliberately give my opponent a Venger on the left to shoot at in the trench, hoping he'll proc battle driven. In a surprisingly aggressive move, my opponent runs his jacks up. Malekus uses Open Fire a couple of times after Battle is sung, and he successfully clears off a Venger on the right. (30 push ups or sit ups), triggering Righteous Fury on the Seneschal and Battle Driven on the Vengers. He runs the Vessel up max distance - a move which I believe was his only major mistake this turn as it would allow me to charge it with multiple units. Enliven goes on the Repenter on the right before it heads into my zone. I premeasure out a couple of threat ranges, and with True Path I can get two Knights Exemplar onto the Battle Engine, and I can also get all of the Vengers onto it with good placement. I upkeep Defenders Ward, allocate nothing, and get to work. Vindictus moves up a little bit, casts True Path and Feats. The Seneschal on the right goes up and hits the Repenter, triggering Enliven. The jack moves closer to me to Jam, and the free strike and charge attack combined do around half damage to it (pretty mediocre dice there, should have brought it down to one or two). The Knights Exemplar activate, pop their mini-feat for mini Hand of Fate and charge. Two go into the Vessel, bringing it down to 2/3 health, the other three that can get there charge the Repenter. The first attack leaves it on one, and the officer finishes it off before overtaking out of the way. This leaves the Vengers clear to charge into the Vessel, taking it down on the last attack before Repositioning mostly back into my Feat. On the right, charging Vengers kill the Repenter and Reposition back into Feat range. I move both Indictors in front of Vindictus, and move up the middle unit of Knights cautiously. The Choir sings no shooting on the jacks, and I end my turn. My opponent has nothing but bad options here. If he commits, he loses his army, if he doesn't I instantly win on Scenario. His Reckoners move up and bash stuff, Eye aims and misses a shot at a Venger. Malekus uses Open Fire to nearly kill the right hand Venger that's outside of the Feat. He contests both Circular zones, and I had moved my jacks not quite far enough to hit the Rectangular one, so no points are scored. The turn starts off with Righteouss Furied Seneschals moving up and half killing AND smiting down both Reckoners. Charging Knights and Vengers finish off the downed Jacks, Rhoven, and basically everything of scariness left but Eye and Malekus. I score three points as I move my Jacks into the zone, and my opponent concedes with no way to kill enough models to matter and no way to keep contesting in the face of that many weaponmasters and cavalry. This list is very impressive. It's got excellent damage output, it's incredibly fast, and it delivers itself pretty well. Into most gunlines, this list is going to get in their face too quickly for most of them to shoot their way out before Scenario collapses on them. My opponent commented that it was exactly zero fun to play against, and for a list like his, I definitely agree. It punishes most battlegroup heavy builds and lists built to fight battlegroups by being faster than them and being so resilient to a lot of the anti-infantry tech out there by nature of high ARM values and Vindictus' feat. Definitely intrigued, looking forward to trying it again. It's time, one and all, for the second battle report of Truth & Consequence! This time I took our new Exemplar Interdiction theme out for a spin, and at the helm... Vice Scrutator Vindictus, the Protectorate master of infantry himself.